What is email marketing? When an email is used for sending a commercial message to a group of individuals, then this process is known as email marketing. But if you look at a broader aspect, then an email which is sent to a consumer or a potential customer also comes under email marketing. 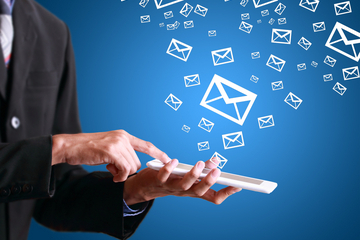 The main goal of email marketers is to build brand awareness through the transmission of advertisements. Email marketing is also used to solicit sales and to get donations for business recommendations. This process can be achieved by sending an email to existing customer base or by selling lists respectively. In addition to that, you can also persuade your current customers for the purchase of certain products or services through email marketing. Emails are the most professional and technical approach to transfer any attachment and to making on-line diverse deals. Therefore you need to make sure that the mail you have sent to your client should be engraved with proper format and the language you will use.